Winners of the 2016 Effie Awards Argentina competition were celebrated on October 27th, at the Tattersall de Palermo, in Buenos Aires. The jury awarded one Grand, 17 Gold, 26 Silver and 25 Bronze trophies. Banco Hipotecario and Leo Burnett Argentina won the Grand and a Gold Effie in the Financial Services category for their campaign, "Cajero, quisiera ser concebido como un banco integral: concedido." 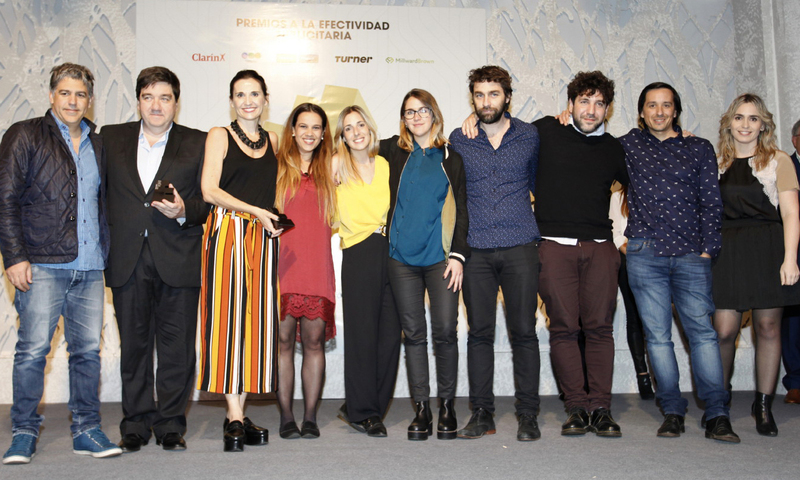 BBDO Argentina was named 2016 Effie Argentina’s Most Effective Agency of the Year. A jury of nearly 90 industry executives (marketers, advertisers, academic professors and research executives, among others) reviewed and scored the entries during the judging session held in the Turner International offices in Buenos Aires. The jury was chaired by Romina Fernández, Marketing Director of Aguas Danone.